I use a MacBook Pro at work which is most of the time connected to a docking station via a lightning cable at my desk. There I usually turn off do not disturb (DND) mode and activate screensaver/screenlock after 2 minutes. When I am at meetings it happens regularly that I want to present something but then it is annoying if notifications are displayed or the screensaver turns on after 2 minutes. How can I automatically turn on DND mode and turn off screensaver automatically whenever my MacBook is not connected to power (docking station)? 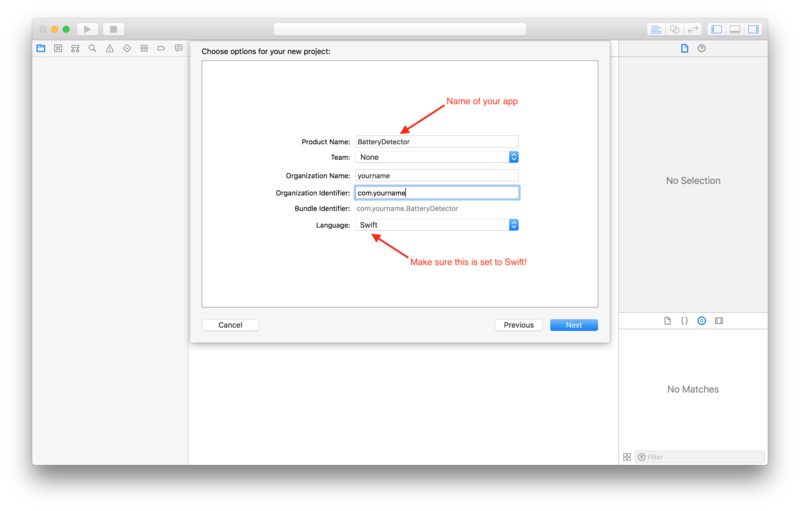 Enter something for your product name—which is the name that will appear on your app (I'm going to be using BatteryDetector)—and fill in the other fields (they don't really matter); make sure the language is set to Swift! Name your file [your project name]-Bridging-Header.h, substituting your actual project name for [your-project-name]. In my example, the name would be BatteryDetector-Bridging-Header.h. Make sure that the Group at the bottom of the dialog has a yellow folder icon next to it and says the name of your project. If it has a blue icon or something else, change it to the option that has a yellow folder icon and the name of your project. See the screenshot below for the correct configuration. When everything is correct, click Create. 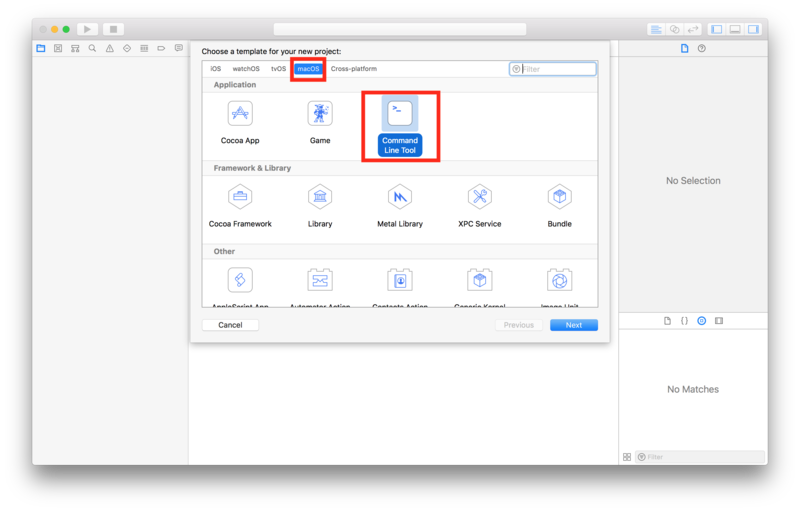 Use the search box in the top right of the Build Settings screen to search for objective-c bridging header. You should see a setting called Objective-C Bridging Header come to the top of the list. 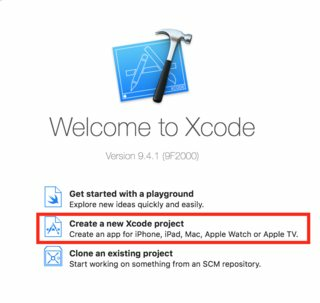 Double-click to the right of the Objective-C Bridging Header label so that a text box appears, and enter [your-project-name]/[your-project-name]-Bridging-Header.h in that text box, replacing [your-project-name] with your project's actual name. In my example, I would enter BatteryDetector/BatteryDetector-Bridging-Header.h. Then press return. 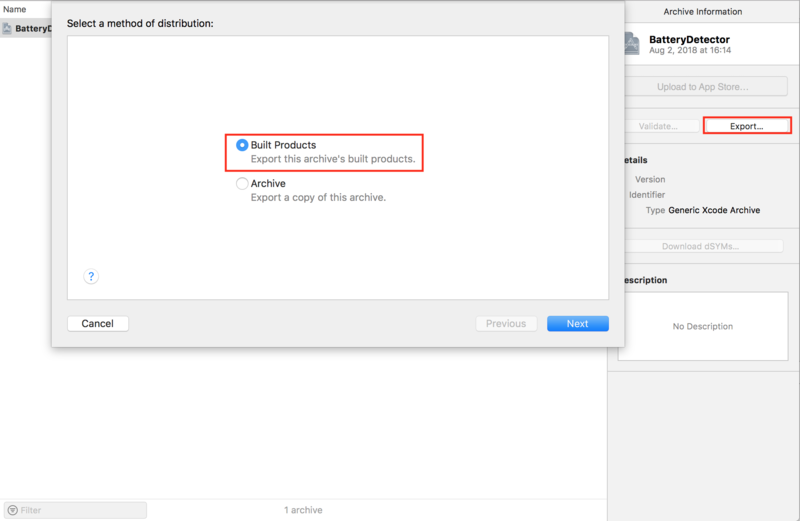 Next, export the application by selecting Product > Archive in the menu bar. Once the archive finishes, a window will appear with an Export button. Click Export, select Built Products, and click Next. Select a location where you will save the exported executable on your disk, then click Export. 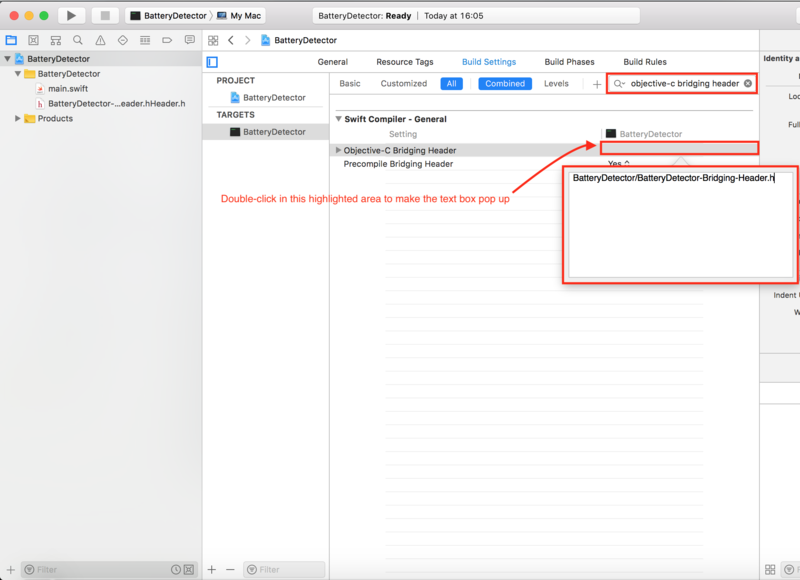 Now, navigate to the folder you just saved to your disk (called [your-project-name] [today's-date]) and navigate through all of the subfolders (probably usr, local, bin) until you find the executable called BatteryDetector (or whatever you named your project). You can store this executable anywhere on disk, but it should be at a stable location (i.e., a location from which you don't plan on moving it) or your computer won't be able to locate it. Next, copy the following text and paste it into a text-editing program like TextEdit or a code editor (make sure that it won't convert quotes to "smart quotes"). Replace the text [your-executable-location] with the full path to where your executable is stored on disk (e.g., /Applications/BatteryDetector). Once you have entered the correct path, copy the newly-modified text (i.e., with your corrected path) to your clipboard. Next, open Terminal (located at /Applications/Utilities/Terminal.app). Finally, log out and then back in to start the app running. It will continue to run in the background, and will automatically start each time you log in. 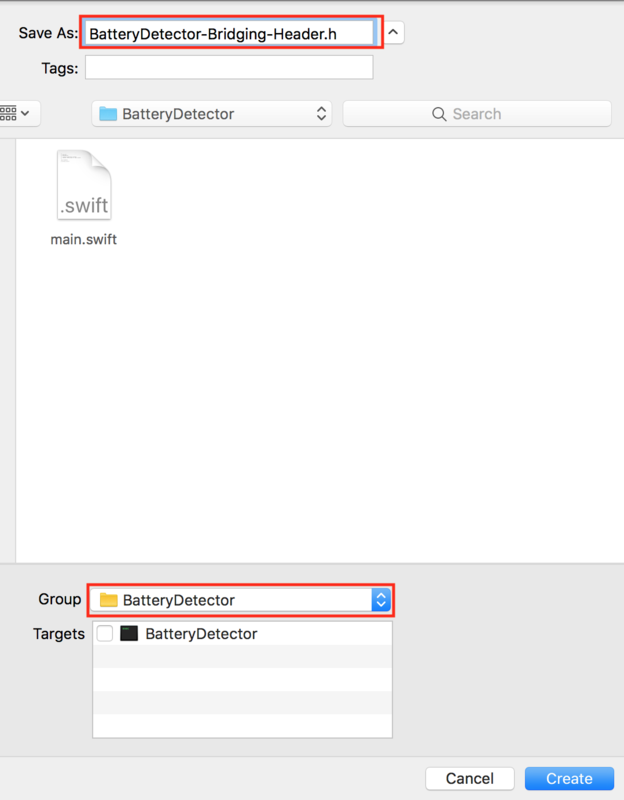 If you need to quit it for some reason, use Activity Monitor and search for the name of your executable (e.g., BatteryDetector). For the screensaver, you could activate a hot corner to disable the screensaver. Personally I don't use the screensaver and rather have gotten into the habit of manually locking my screen when I get up at work (Ctl + Cmd + Q). You could also set the energy saver to turn off the display at different times depending on weather you are on power or battery, also set security to require password when waking up from sleep. Notifications are a pain (I have most of them turned off). One possible solution though is in the Notifications Preference you can turn on a setting that will automatically turn on Do not disturb "When mirroring to TVs or Projectors" so if you are mirroring during your presentations, this would work. Not the answer you're looking for? 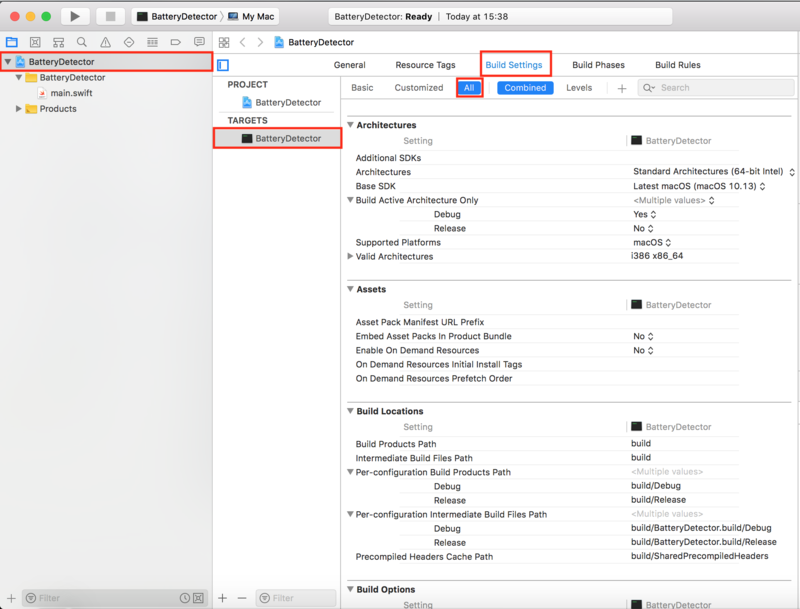 Browse other questions tagged macos automation . How do i automatically send ebooks to my Kindle? How can I automatically centre new windows in Yosemite? How to get total amount for each client in a list automatically? 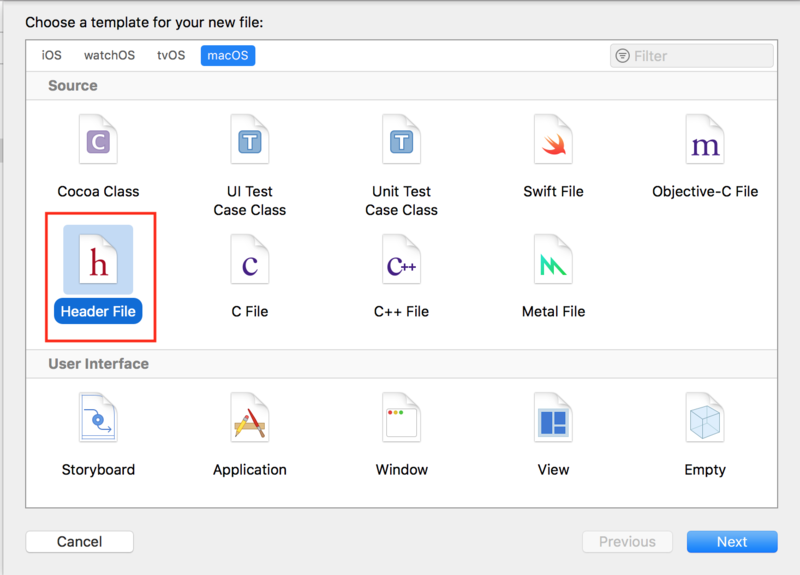 Automatically update multiple file names? Why DND automatically turns itself on and off in macOS High Sierra?